Jerseys and Knicks have been ordered (i.e. no further orders can be taken) – production will commence shortly and a collection date will be announced as soon as we hear from our supplier. T-Shirts – have been made and are ready for ordering / purchasing – this time we have gone with 3 colours – Red, Black and Grey as per the attached image – in a variety of male and female sizes – they will be sold on a first come first serve basis for $25 each – the first opportunity you will have to purchase them in person (with cash) is at the Build Day this Sunday 2/12/18 from 7.30am to 10.00am. A second opportunity will be at the next XC / DH Race day at Awaba on 16/12/18 from about 8.00am. Another purchase arrangement option is to send an email to hmbaweb@gmail.com with your colour and size so that we can confirm availability – you will then receive instructions to make a direct deposit payment to lock in your order for subsequent collection at one of the above events, or pick up from Valentine. 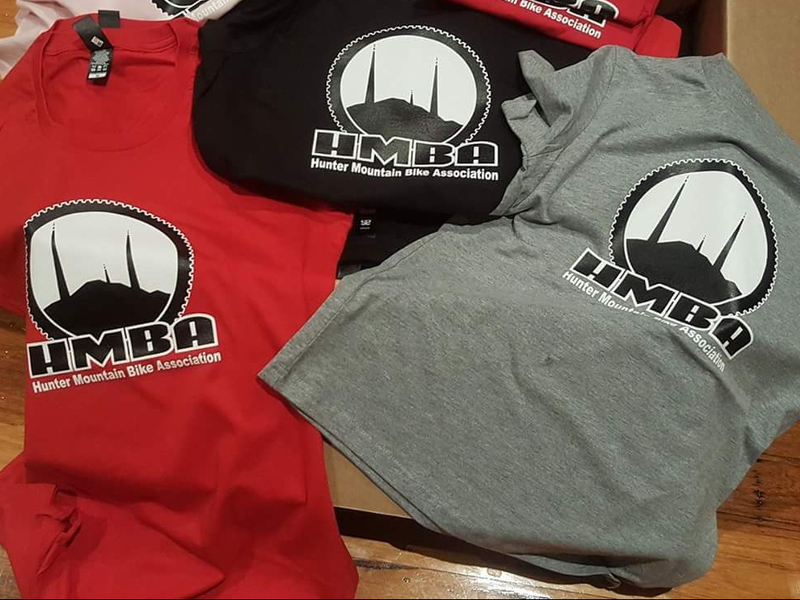 We will also be looking into postage of shirts for people outside of the HMBA catchment – pricing to be confirmed but estimated to be between $6 to $8.50.